The GHOSTDRONE is a forerunner and pioneer of smart UAV, and its series drones have performed millions of safe flights. The mature hardware/devices and advanced formation flight technology are integrated to enable the graceful “dancing” of GHOSTDRONE in the night sky. 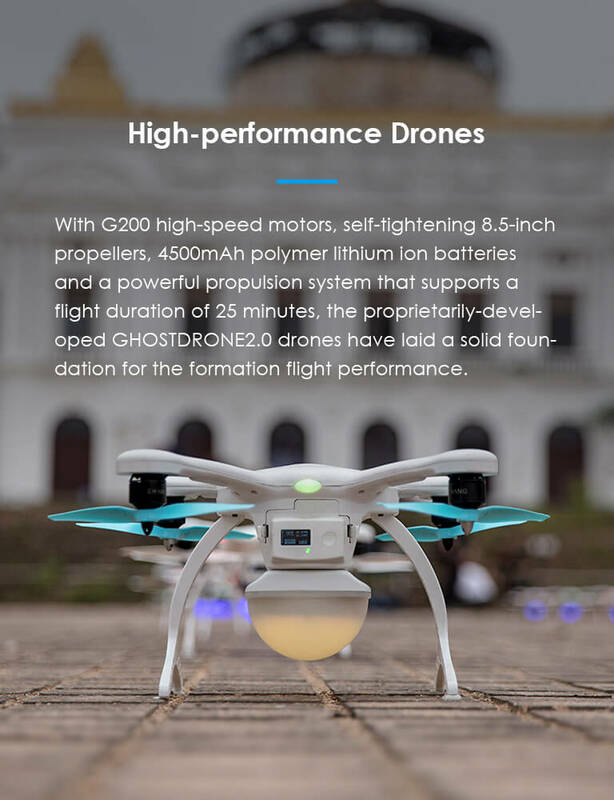 With G200 high-speed motors, self-tightening 8.5-inch propellers, 4500mAh polymer lithium ion batteries and a powerful propulsion system that supports a flight duration of 25 minutes, the proprietarily-developed GHOSTDRONE2.0 drones have laid a solid foundation for the formation flight performance. 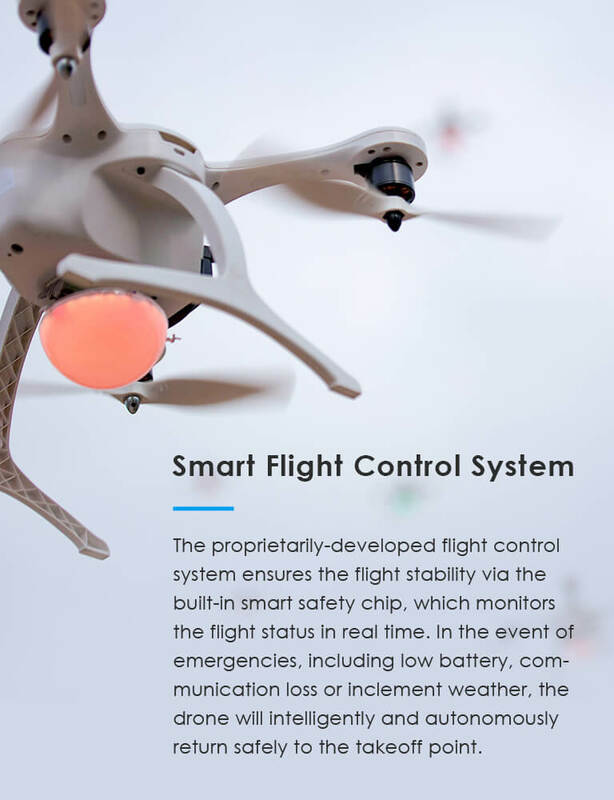 The proprietarily-developed flight control system ensures the flight stability via the built-in smart safety chip, which monitors the flight status in real time. 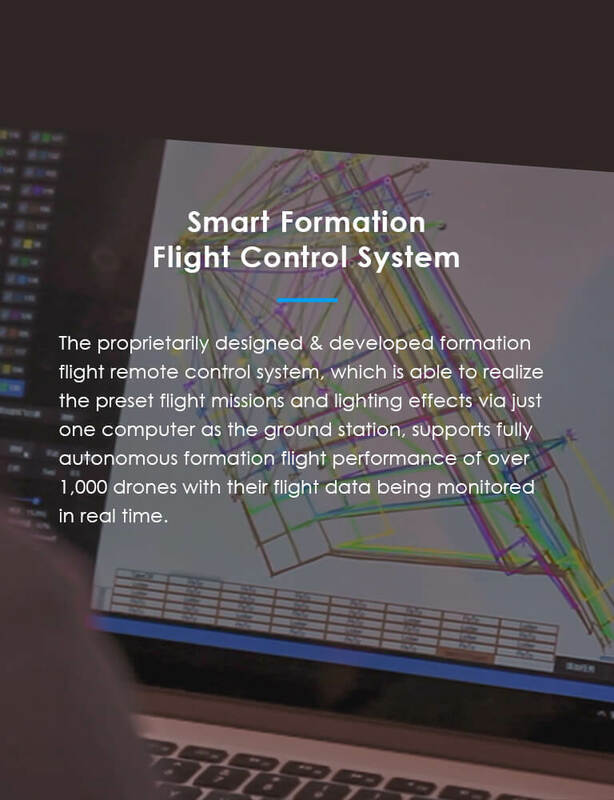 In the event of emergencies, including low battery, communication loss or inclement weather, the drone will intelligently and autonomously return safely to the takeoff point. 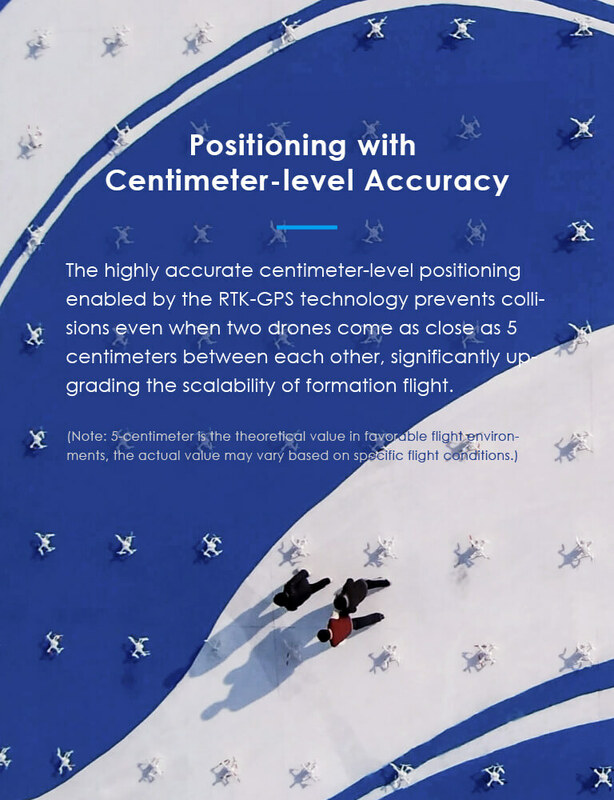 The proprietarily designed & developed formation flight remote control system, which is able to realize the preset flight missions and lighting effects via just one computer as the ground station, supports fully autonomous formation flight performance of over 1,000 drones with their flight data being monitored in real time. Points-lines-planes. Formation with more complexity requires more drones. Demonstrate 3 different formation patterns in 15 minutes. 15-20 minutes per drone show. Diverse light colors: red, orange, yellow, green, blue, purple, pink, white.